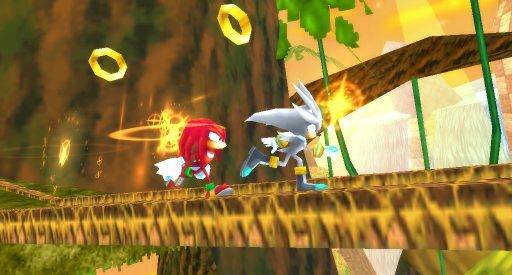 SEGA creating Sonic Rivals 2 for the PSP - GameSpotting! 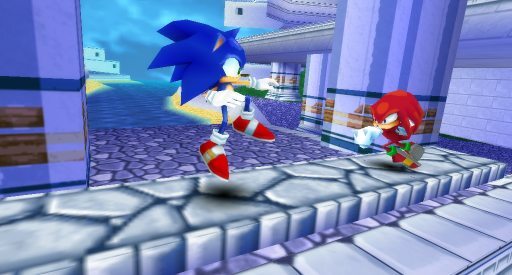 Sonic Rivals, which originally was made for the PSP, is now going to have a sequel on called Sonic Rivals 2 (what a catchy title). Like the old version, it will be semi 3D, with some elements 2D others 3D. 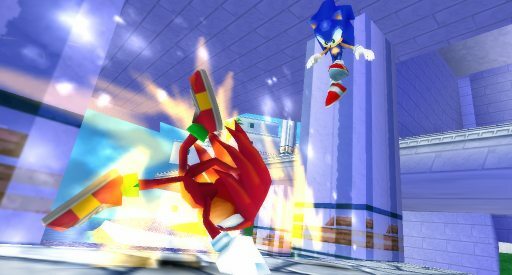 Anyways, we assume the story line is like the first one (but SEGA will probably change it to something new). 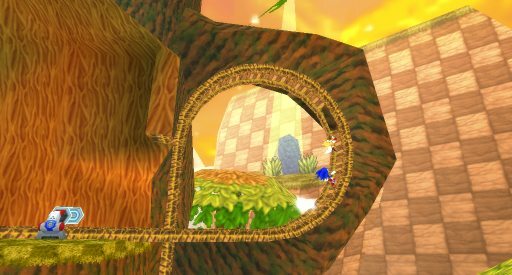 SEGA released a few screenshots for you to enjoy. Please note that the graphics are pretty much the worst ever (but we expected that being a development version). One big glitch you can see already is the magically floating building that you can see through in the first shot. Click the image in this post to see the slide show.